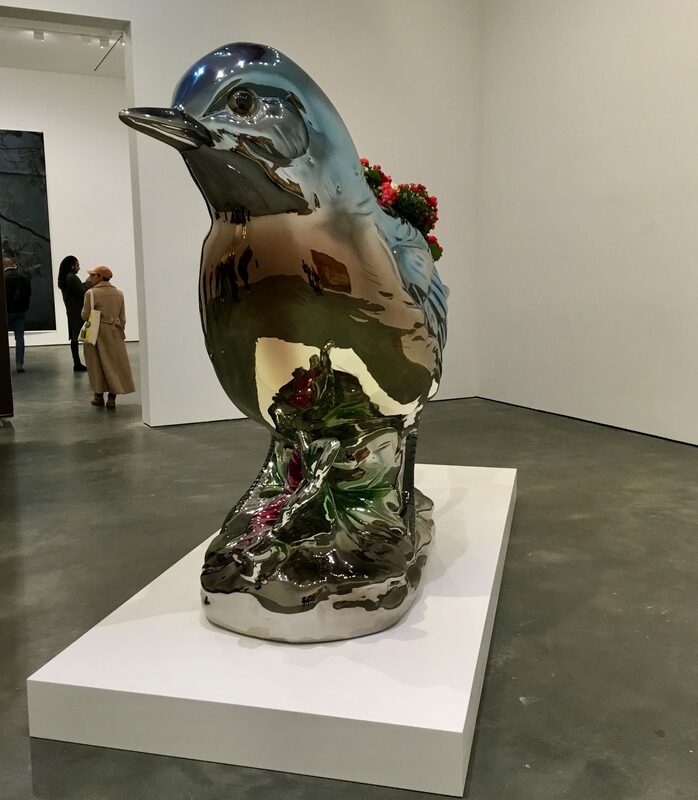 As part of the gallery’s anniversary of 25 Years in business, David Zwirner on 20th Street is currently hosting an exhibit of works by a selection of the major artists it represents. 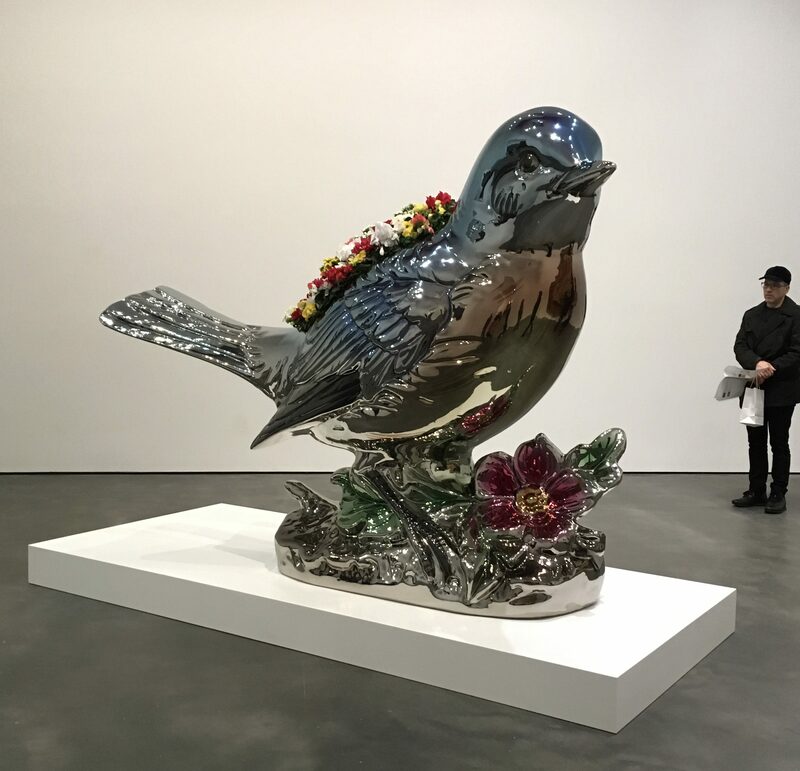 Being a major Jeff Koons fan, my favorite piece in the show is Bluebird Planter: a piece from Koons‘ Banality series (2010 – 2016) created in the artists signature mirror-polished stainless steel, with a transparent color coating, and a space on top of the sculpture for live flowering plants. 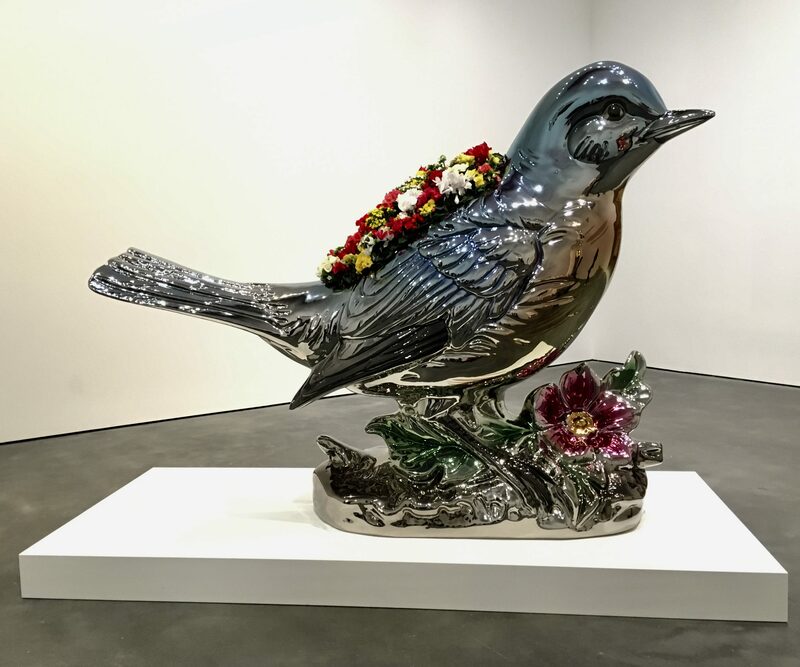 The Banality series consists of a number of large sculptures inspired by porcelain Hummel Figurines. I left a random art fan in this shot so you can see how large the sculpture is. 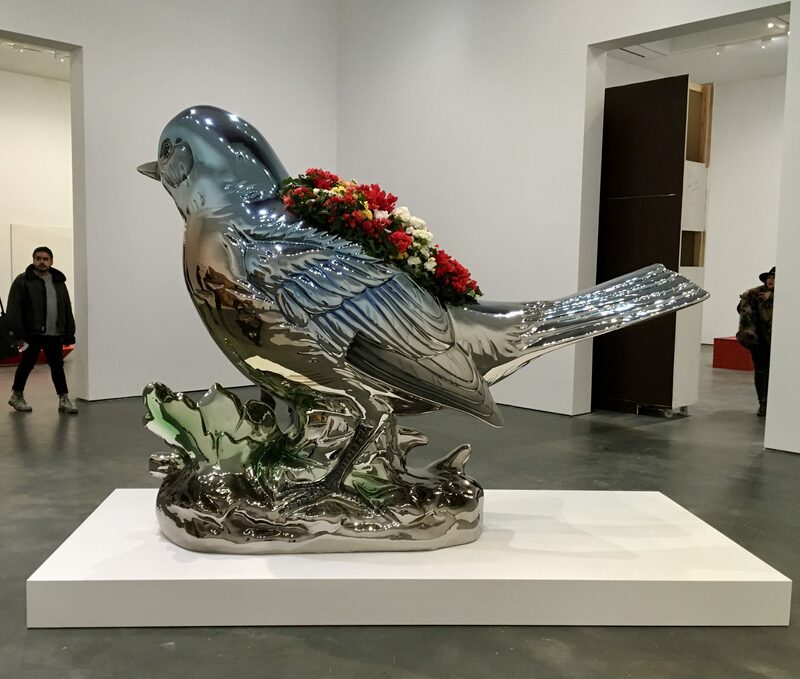 This sculpture had fake plants in its planter but you can get the idea. It is extremely gorgeous. Breathtaking even.